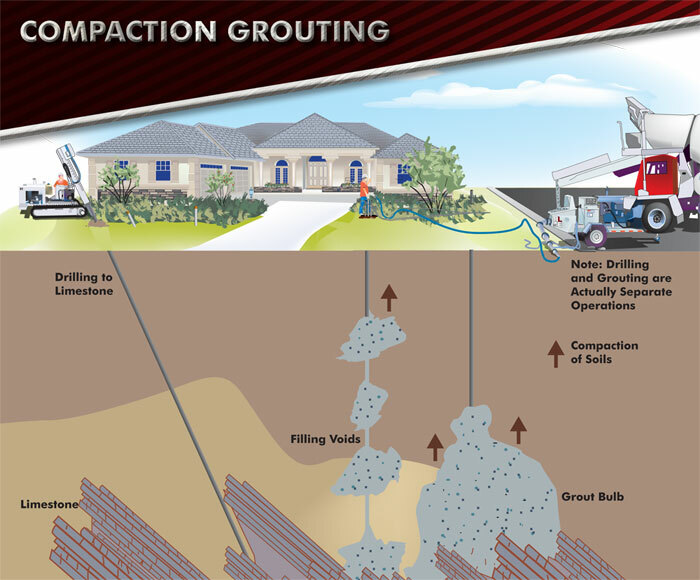 Compaction grouting is a form of soil stabilization that's done by pumping grout into the ground through threaded steel casings under high pressure. 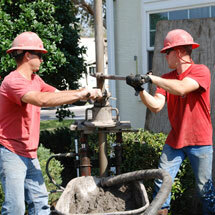 It may, for example, be used to fill subsurface voids or fissures in limestone bedrock. 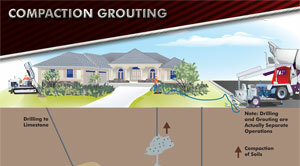 Where slurry grouting permeates and solidifies soils, compaction grouting densifies and replaces soils. 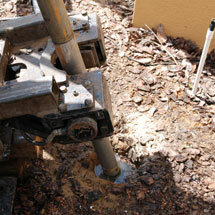 Compaction grouting is often used in combination with slurry grouting. 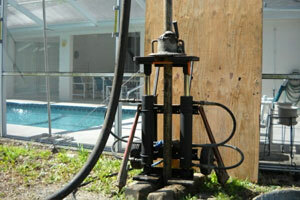 The former is typically stopped above depths of 20 feet in order to avoid heaving and damaging the structure. 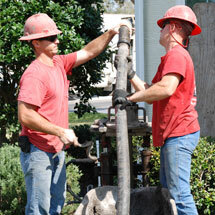 Slurry grouting, injected at lower pressures, is then be used to stabilize the remaining soil strata. 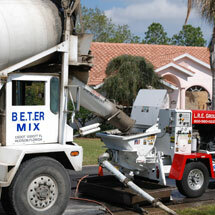 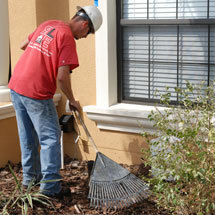 Contact is today for a Free Estimate for compaction grouting and soil stabilization in Tampa, Orlando, Saint Petersburg, Lakeland, Sarasota, Clearwater, Bradenton, Kissimmee, Daytona Beach, Ocala, Port Saint Lucie, Largo, Melbourne, Spring Hill, Vero Beach, Fort Pierce, New Port Richey and the surrounding Florida area. 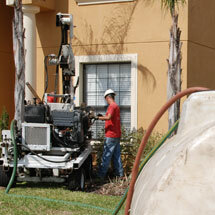 Also known as Soil Stabilization, Compaction Grouting is done by pumping grout into the ground through steel casing under pressure to seal the limestone and compact soils. 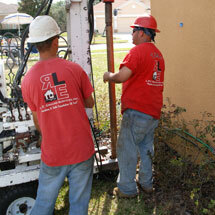 Drill grout injection points by inserting steel casing into gound. 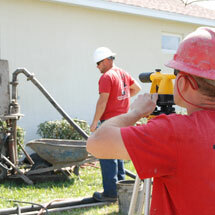 Pump cement through each injection point while monitoring at all times.